John Dominy, foreman of the Veitch Royal Exotic Nursery at Exeter ( Devonshire), is acknowledged as the first to create and raise orchid hybrids successfully. A hybrid calanthe and a cattleya were the first to flower (in 1856). 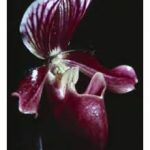 He raised a further 23 orchid hybrids before retiring in 1880. Two of these hybrids were paphiopedilums, then called cypripediums. Paphiopedilum Harrisianum (P. villosum x P. barbatum) first flowered in 1869, while Paphiopedilum Vexillarium (P. barbatum x P. fairieanum) flowered the following year. Paphiopedilum Harrisianum is still frequently seen on our show benches today, although the plants are probably not from the original crossing. It is named after Dr. Harris, a friend of John Dominy, in acknowledgement of the advice that the surgeon gave him on the column structure of the orchid flower and the necessity to transfer pollen to the stigmatic cavity in order to bring about fertilisation. 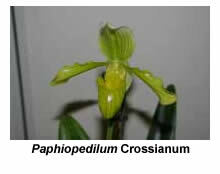 The most common cultivar seen is the tetraploid Paphiopedilum Harrisianum ‘G.S. Ball’, which has larger, deeper purple and glossier flowers than other cultivars. It is sometimes also referred to as ‘Ball’s variety’. The cultivar ‘superbum’ arose from Dominy’s original crossing but Ball’s variety must be of more recent origin, because it is not mentioned in any of my books published before the second World War. John Seden succeeded John Dominy as hybridiser at Veitch’s Exeter nursery on Dominy’s retirement. 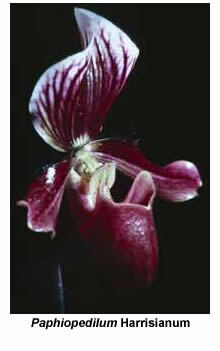 Over a thirty-year period (1875-1905) Seden created more than 500 orchid hybrids, including 150 paphiopedilums. 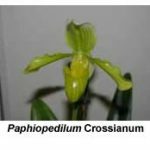 A Mr. Cross, gardener to Lady Ashburton of Hampshire, was another early hybridiser of paphiopedilums. His first two were P. Ashburtoniae (P. barbatum x P. insigne) and P. Crossianum (P. insigne x P. venustum); the latter still occasionally appears on the show bench.